As a financial planner, I often discuss taxes with clients. Taxes are a critical piece of the financial plan. More importantly, they are one of the elements we have some control over. I know tax season is officially behind us, but that doesn’t mean you should stop thinking about those pesky compulsory contributions. Now is when you need to shift your focus to 2016 and start identifying opportunities that will set you up nicely for next April. To get a tax professional’s perspective on what you can do to prepare for next year’s tax season, we’ve polled a handful of our favorite experts. Below are their thoughts on what you can be doing (better!) today — and through the rest of the year — to put yourself in the best possible position for success. Income tax incentives. CPA and tax manager Brian J. Franczak of Gatto, Pope & Walwick, LLP, recommends taking advantage of income tax incentives, such as the credit for increasing research activities or the deduction for income attributable to domestic production activities. Franczak said that if you have a business, there is a good chance some of your activities may qualify for these or other incentives. Some taxpayers are afraid of taking advantage of certain business incentives because they fear they are too complex or they don’t believe their business activities qualify. Or, they’re simply unaware of what is available to them. A qualified income tax advisor can help identify which incentives may be available to you and help you assess whether or not any are worth looking into. Marital status: to change or not to change. Summer is around the corner and with it comes wedding season. David C. Dolan, Partner, CPA at Considine & Considine, recommends newlyweds resist the urge to rush into their human resource manager’s office to change their marital status to “married’ on their W-4. As exciting as getting married is, the consequences of changing your W-4 can be taxes owed on the return. With dual earning spouses, the single withholding tables do a better job of withholding taxes and minimizing any tax surprises on April 15. Luckily for taxpayers, the IRS recently added a box to the W-4, allowing eager newlyweds the option of checking a box “Married, but withhold at higher Single rate.” While this may not be the answer for all couples, it can certainly result in wedding day-like smiles when couples realize their tax refund is big enough to fund their honeymoon. Don’t mix business with personal. “Mixing your business and personal expenses will complicate your accounting, resulting in additional time spent reviewing and separating business from personal transactions,” said bookkeeper Lydia DeMaria, of Lydia’s Bookkeeping Services in San Diego. To keep accurate records, you must stay organized and keep the transactions separate. In the end, you will save time and money by reducing your bookkeeping costs. DeMaria recommends designating one card for business and a separate card for personal when it comes to credit cards. Know when it’s time to seek out a professional. Linda Rogers, CFP, MSBA, EA, at Planning Within Reach, had a few clients that chose to pay for tax help last year. One of them felt the need when they started a business, another, purchased their first home and the other, wasn’t sure they were entering their stock options correctly. Rogers added that turning to a professional enabled them to see a tax savings and gave them a peace of mind. Consider the California Competes credit. Michael C. Lee, CPA of San Diego Tax Pros, suggests the California Competes credit — an income tax credit with $80 million allocated to it. The credit is available to California-based small businesses (and those moving to California), with revenue between zero and $2 million dollars, and growing over the next five years. The next cycle of applications will start in August of 2016. Charitable giving: review donor-advised funds. One of my personal favorite tools — and one that isn’t talked about enough — is the donor-advised fund (DAF). Simply put, a DAF is an account that helps givers strategically manage their charitable contributions. Through an agreement with a DAF provider, a donor creates a specially named account (i.e. “Smith Family Fund”) to which irrevocable contributions are made. The donor receives an immediate tax deduction, but isn’t forced to make any grants. They can work with their adviser to invest and grow the assets and recommend grants to their favorite nonprofit, 501(c)(3) organizations at their leisure. In short, a DAF is low in cost, flexible, and it can be beneficial to anyone who is charitably inclined. Whether using a donor-advised fund or simply making a charitable contribution to your favorite nonprofit, giving back is a good way to reduce taxable income, while making a difference. And, with a list of great recommendations from tax professionals above, now is a good time to consider your options and take action to put yourself in the optimal financial position for 2016 and beyond. 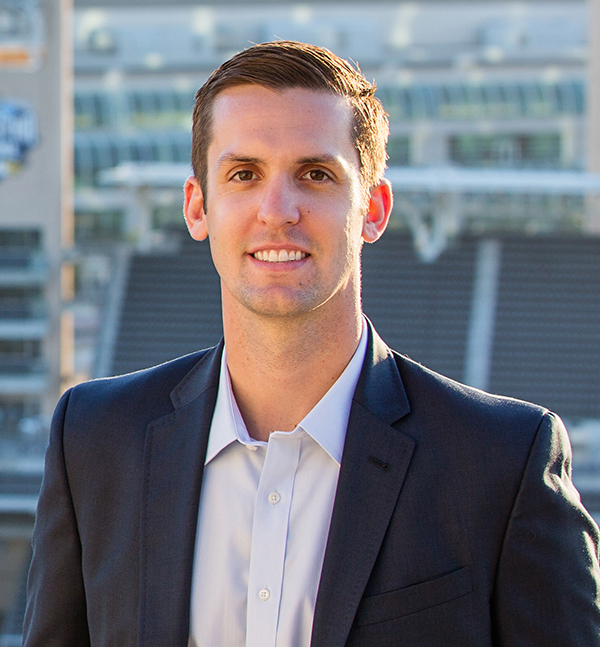 —Taylor Schulte, CFP is the founder of Define Financial in Downtown San Diego. Schulte specializes in providing independent, objective, financial advice to individuals, families and businesses. He can be reached at 619-577-4002 or taylor@definefinancial.com. Insiders’ Secrets: How to be fabulous and create a life you love!